Security Deposit for group of 150 euro. Non refundable if damage is done to property or not left in a propper manner. Situated on a working farm with dairy cows. 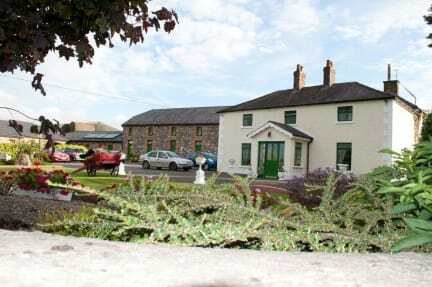 Old stone farm buildings lovingly restored to provide a comfortable setting for the tourist to the Boyne Valley. Outdoor seating and BBQ facilities. Laundry/Drying Room- Equipped with washer and spin dryer. Reception- Contains all tourist information, maps and payphone & free internet. Games/Meeting room- , football games, nintendo games. The hostel has many board games for the visitor to enjoy. T.V. Lounge- Relax in the warm atmosphere watch T.V. or a DVD.